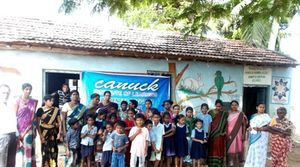 South Asia Mission (SAM) is working with God Cares International (GCI), a Canadian-based non-profit organization to build a Christian-based boarding school in Bhogolu, India. 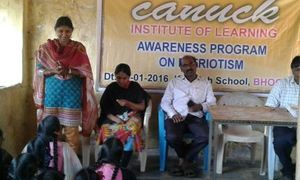 The local implementation will be via ICM, and the school will be called Canuck Institute of Learning (CIoL). 1. Underground digging, bore wells. 3. Flooring, elevations, electricity, plumbing. *If you intend to donate to any other SAM ministry via the online portal, please specify which other ministry or indicate "Generic Fund"
(1) Donations are already underway! We have received approximately 20% of our start-up fees (for Phase 1). 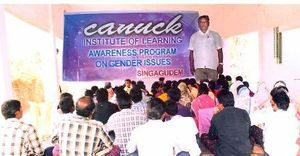 (2) Various local programs have been conducted by Bishop John (India) to increase the awareness and objectives of the CIoL. See pictures below.